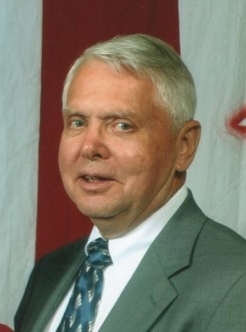 James R. Craig, 81, of Littlestown, formerly of North Linthicum, died Wed, Oct 31, at his home. He was the husband of Nila Fern (Postlethwait) Craig for 59 years. Born Nov 29, 1936 in Burgettstown, Jim was the son of the late William D. & Mary Elizabeth (Smiley) Craig. He was a 1954 Union High School graduate and obtained a B.S. degree from the University of Maryland. He served in the U.S. Navy during the Korean Conflict and was a federal government employee civilian rank of GS14 with the NSA of Fort Meade, MD for 45 years. Surviving in addition to his wife are his 3 sons: Richard M. Craig & Linda of Gettysburg; James D. Craig & Katherine of Westminster and Phillip A. Craig & Laurie of Linthicum, MD; his 6 grandsons: Shane, Dylan, Brendon, Bradley, Kyle & Bryce Craig and his 2 great granddaughters: Elizabeth and Willow Craig. Jim was predeceased by his brother, William R. Craig. He was a member of Church of Christ, Gettysburg, University of MD Alumni, Florida College Society and Phoenix Society. Jim loved his church, his family and gardening. Upon retirement he researched his family genealogy.